Havergal Brian’s extraordinary late creativity is almost unparalleled in musical history. Between the completion of Symphony No.6 in 1948 and the end of his compositional life two decades later, he wrote 26 symphonies. No.6 marks a crucial point in his adoption of more concise forms and economy of expression in its single-movement span, a process taken even further in the brief but free polyphonic fantasia of No.31. 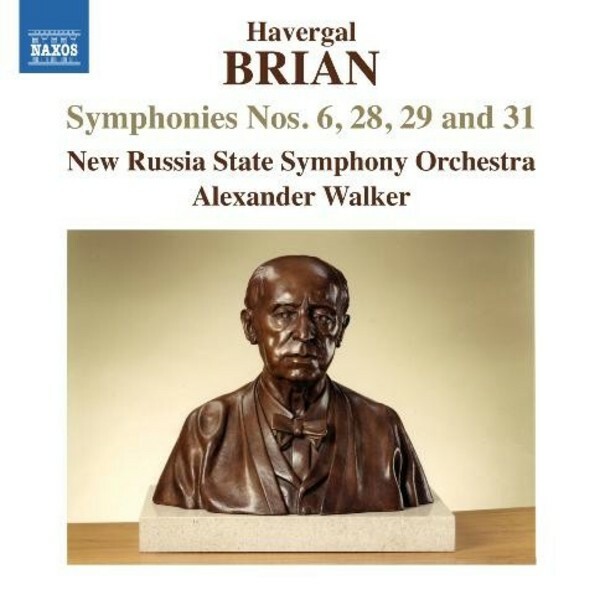 In Symphonies Nos 28 and 29 Brian turned to the classical four-movement model but one which is wholly and idiosyncratically re-imagined. The intensity and even savagery of No.28 is balanced by No.29, Brian’s most lyrical late work.